A few years ago I read The Queen’s Promise, a book about Anne Boleyn and Henry Percy by an author called Lyn Andrews. I stated in my review that it appeared to be Andrews’ first novel in the historical fiction genre, her others being mainly family sagas set in 20th century Liverpool. 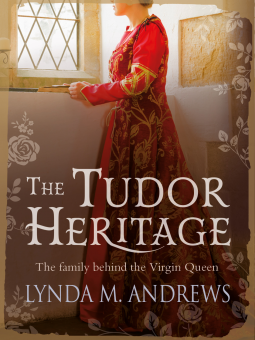 It seems that I was wrong, though, because in the 1970s she had several Tudor novels published under the name of Lynda M. Andrews; they have been reissued by Canelo and I have had the opportunity through NetGalley to read two of them. The Tudor Heritage (1977) opens in 1560, shortly after Elizabeth I’s accession to the throne of England. The novel follows Elizabeth throughout her entire reign, covering such topics as her love for Robert Dudley, her determination not to marry, the problems she faced in dealing with Mary, Queen of Scots, and her relationship with the Earl of Essex. For such a short book – around 250 pages long – there’s a lot of history to include, so it’s inevitable that a lot has had to be left out. However, for a reader new to the period this would be a chance to gain a good overview of the key events and figures of Elizabeth’s reign. While we do spend a lot of time with Elizabeth, seeing things from her point of view, we also meet the family of Sir Richard Allgrave, a friend of the Queen’s secretary William Cecil. The Allgraves, who appear to be fictional, provide us with another perspective on Elizabethan life, being close to the court but also outside it. Occasionally there are parallels – such as when Sir Richard’s daughter Isabelle vows, like the Queen, to marry a man of her own choosing or not at all – but otherwise I felt that the main purpose of the Allgrave family in the novel was to allow us to see things which Elizabeth herself didn’t experience. For example, one of the Allgraves accompanies Sir Francis Drake on one of his voyages, while several others battle against the Spanish Armada. The novel is written in a style which is generally clear and easy to read, but now and then the author puts words into Elizabeth’s mouth which sound as though they were drawn directly from 16th century historical documents. This makes a strange contrast with the rest of the dialogue and just didn’t feel right. On the whole, though, I found The Tudor Heritage quite an enjoyable read – but too short and slight to be completely satisfying. 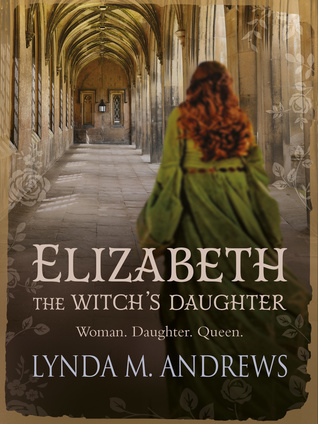 Elizabeth, the Witch’s Daughter (also published in 1977) is the first part of Elizabeth’s story so should really be read before The Tudor Heritage. I did things backwards, but it didn’t matter as I’m already familiar with the period of history – if you’re not, I would recommend reading them in order! This one begins with Elizabeth as a little girl, then takes us through her teenage years and the reigns of her half-brother Edward VI and half-sister Mary I, to end with Elizabeth herself being crowned Queen of England. Again, this is a short book, but it covers a shorter period of history and this time there is no fictional family to share the pages with Elizabeth. Even so, the novel still doesn’t go into a great amount of depth and there is very little in the way of character development – although I did like the portrayal of Elizabeth’s relationship with her governess and friend Kat Ashley. Elizabeth’s feelings for her mother, Anne Boleyn, are explored, but I thought more could have been made of this – the title of the book had led me to assume that Anne and her legacy would have formed a bigger part of the story. I think both of these novels would be worth reading if you knew very little about Elizabeth I and wanted to add to your knowledge without committing to anything longer and more challenging. If you’ve read about Elizabeth many times before, as I have, there’s nothing very new or different here. The other two reissues by Canelo are The White Lion of Norfolk, about Thomas Howard (uncle of Anne Boleyn and Catherine Howard) and The Danish Queen, about Anne of Denmark – as I know much less about both of those people, maybe I would have enjoyed those books more than the two I read. I do remember being a lot more impressed with The Queen’s Promise, particularly the Henry Percy sections; it’s interesting to see how Lyn Andrews’ writing has changed and improved over the years.